Why People are Hooked on Gaming Videos | Nerd Much? A cultural phenomenon that's easy to explain. At first it may seem surprising that so many gamers enjoy watching gaming videos. After all, why would all these people get so hooked on these videos as opposed to just playing the video games themselves? Some gaming videos can be educational, in the sense that they can help players learn and improve their own skills by watching others play. In some ways this type of content has always appealed to gamers, with ‘walkthroughs’ and ‘FAQs’ for games available in text form long before videos were around. Having videos is that much more useful however, as viewers can now ‘see’ what they need to do. Increasingly some hosts who publish gaming videos have built up large followings around their personality and have turned their videos into an entertainment of sorts. The appeal of many gaming videos often isn’t just the video game footage, but also the commentary that the host provides. In some cases people like to watch skillful players who are the best at what they do, not just to learn from them – but because they’re so good. Think of it as the same reason why people watch many professional sports: It isn’t because they want to play at that level, but because they appreciate the skill involved in doing so. Another common reason to watch gaming videos is they give people a glimpse of actual people playing the game and can help them decide whether or not to buy it. While game reviews cater to this content, sometimes less scripted videos seem to provide a more authentic look at the game. If you want to create gaming videos of your own because you feel that your content might appeal for any of the reasons listed above – you can try using Movavi Game Capture. It is an easy-to-use game recorder that will let you start recording in-game footage with just a click of a button. With the help of Movavi Game Capture you can easily create impressive gaming videos. Not only will it record the footage that you need, but you can set it to capture audio from the game as well as your mic, and record video footage from your webcam and overlay it onto the in-game footage. 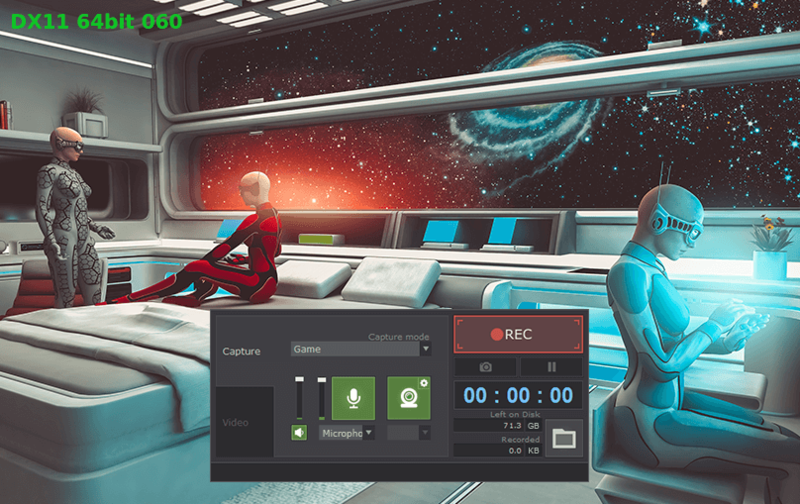 In short Movavi Game Capture will let you create exactly the kind of professional-looking gaming videos that people are so hooked on. More importantly it is so easy to set it up and start recording that you don’t need any experience to use it.